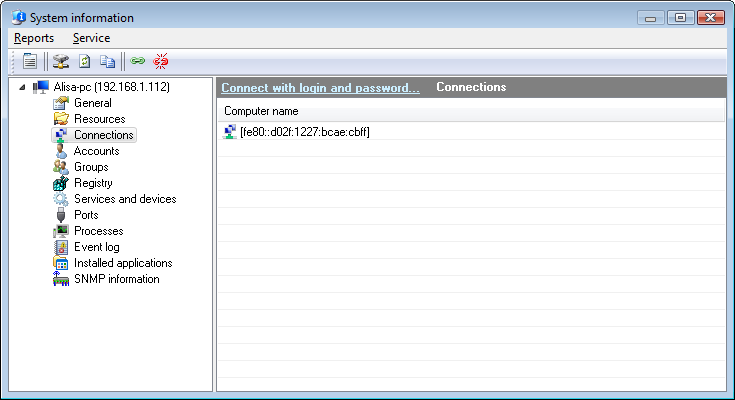 This function allows obtaining information on active user connections to shares on a remote computer. You can see who is currently using shares on any remote computer on the network (admin rights required). Fig. 1: Window displaying remote connections to shares.